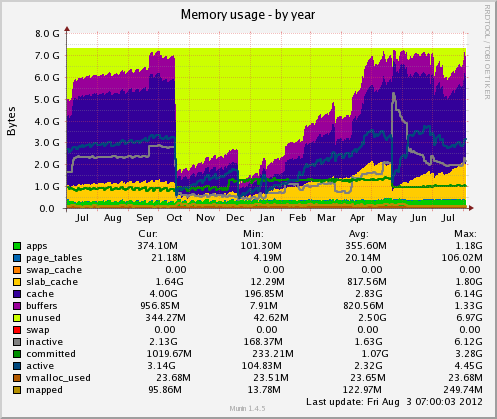 I've been analyzing my munin graphs and found that my server's memory usage is quite high. 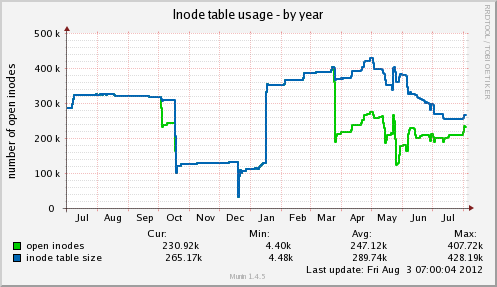 Over the period of one year I made a couple of minor changes to the server. I however don't remember all the changes I've done. 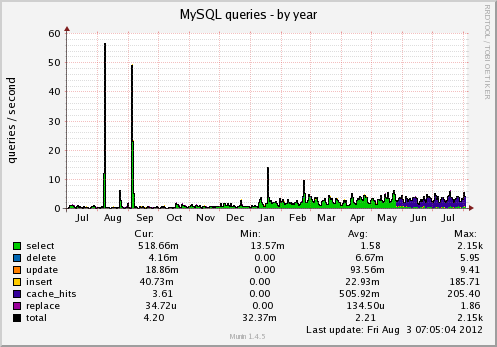 One change was enabling MySQL caching. It's easy to see this in the graph attached below. 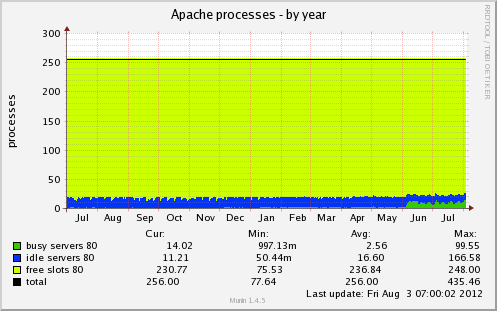 As far as the PHP/backend for our web application there wasn't many changes done. I'm a pretty good developer (PHP...) but when it comes to linux I'm slowly learning. This question might be a bit general. I'm hoping for a general guidance so that I can learn and once I learn I can post a more specific question. Your memory usage is perfectly fine. 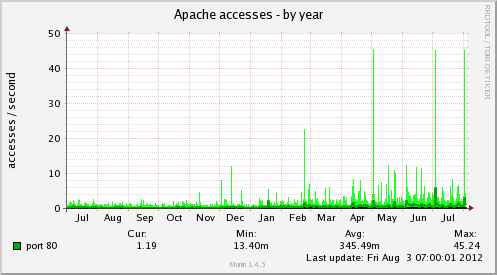 The vast majority is "cache", which is a very good thing. The Linux kernel (well, most OS' actually) will cache data in memory so that subsequent requests for the data come from memory rather than needing to be fetched from disk. Fetching data from memory is massively faster than fetching from disk. swap: Its not unusual to see some swap used on a typical system. The important thing is that the server isn't swapping a lot. 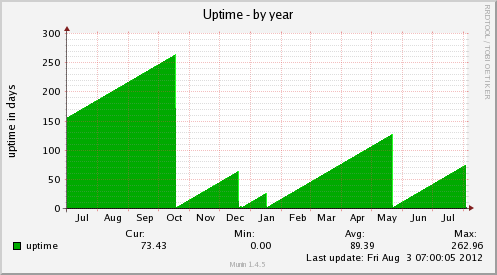 Munin's "Swap in/out" graph can shed some light, but in your case swap usage is constantly 0, so there's no issue. committed memory: this should typically be less than the total physical RAM available to the server. If it's higher, you start running the risk that the kernel needs to start using swap, aka disk paging, which is bad as I said previously. Not the answer you're looking for? 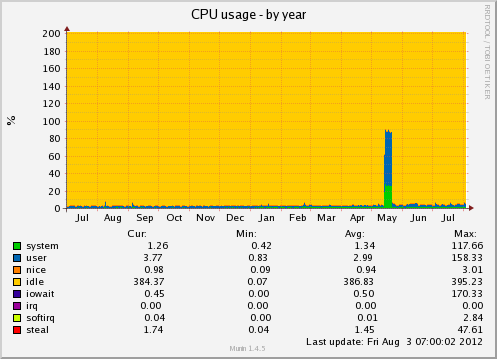 Browse other questions tagged linux amazon-ec2 memory memory-usage or ask your own question. Free memory is low,cached memory is high:is it save to have this? 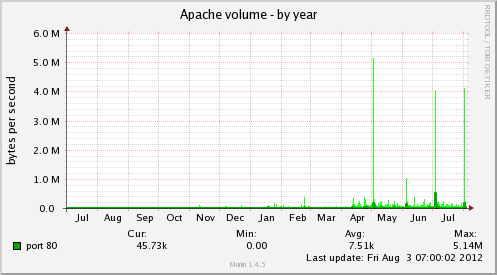 Why so many apache slots marked as “busy”?